Letterology is on Fall break again this week as I am preparing for the opening of the Camp Stories, Illustrated exhibit at the University of Puget Sound Collins Library in Tacoma, this coming Saturday. Instead, I bring you re-runs of some of my favorites from the Letterology attic. Thanks for your patience! Proof positive from Department B: People still read books of all kinds. I really did. 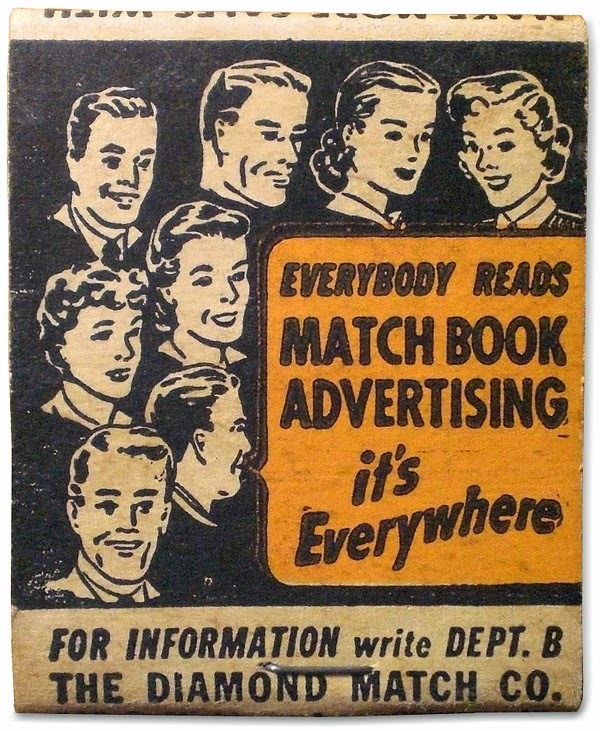 I used to find match books interesting. You have just reminded me of one of my childhood hobbies. I used to collect match books. I wonder are they still stashed some place. Love the illustrations. 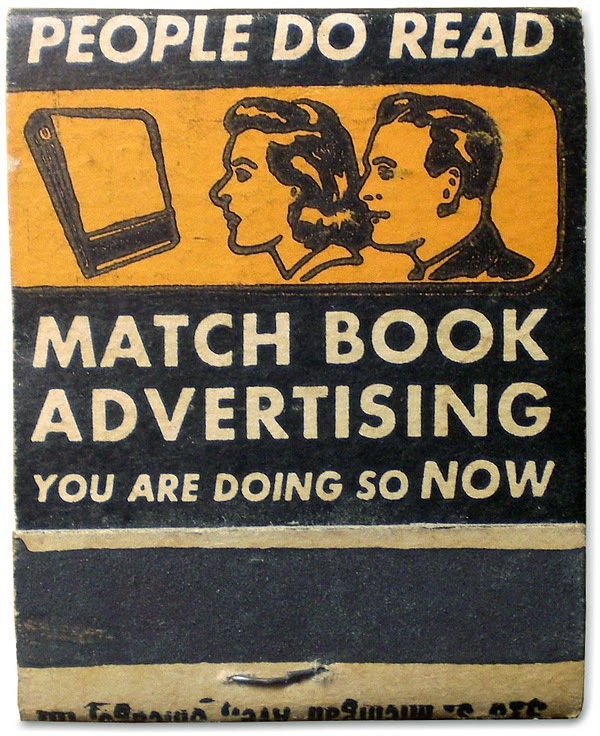 The style would suggest pre-1960s, but the matchbook itself is probably not that old.